This Holi get alive with Music, Energy & Excitement as people come from far & wide to celebrate our rich culture with Rain Dance Setup. All Types of Gujarati People are celebrating Holi Festival with great interest and also Performs dance around the fire. 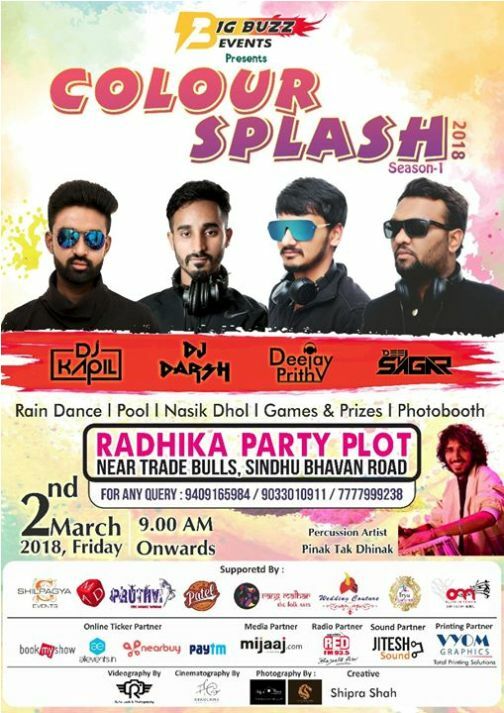 Be part of Colour Splash 2018 Season 1 Holi Event in Ahmedabad at Radhika Party Plot on 2nd March, Friday.